The quickstart uses two pre-written Java applications, one to send the telemetry and one to read the telemetry from the hub. Before you run these two applications, you create an IoT hub and register a device with the hub. 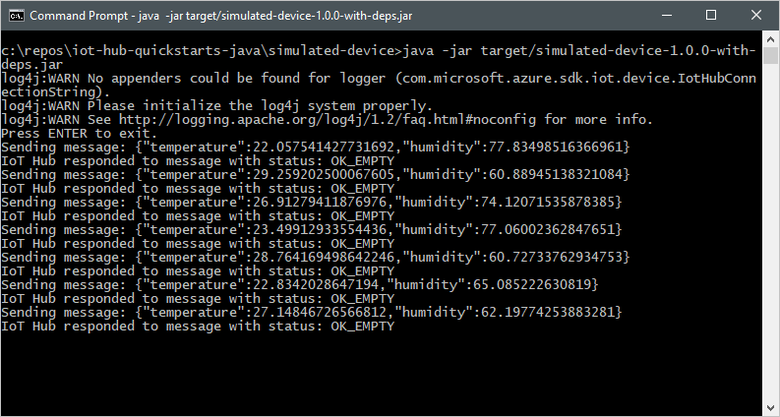 Download the sample Java project from https://github.com/Azure-Samples/azure-iot-samples-java/archive/master.zip and extract the ZIP archive. 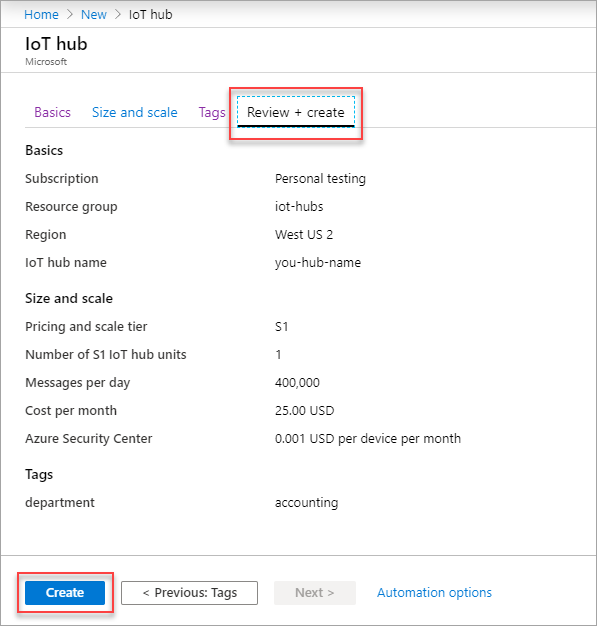 Run the following commands in Azure Cloud Shell to get the device connection string for the device you just registered: **YourIoTHubName: Replace this placeholder below with the name you choose for your IoT hub. 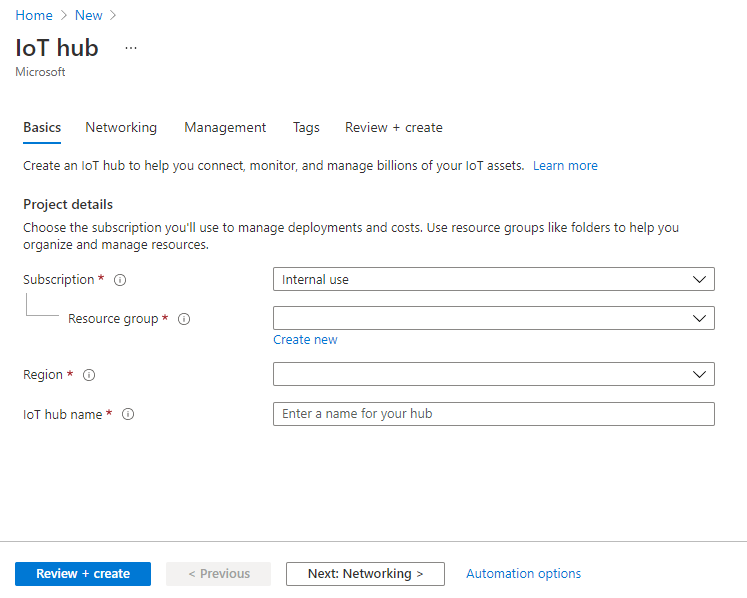 **YourIoTHubName: Replace this placeholder below with the name you choose for your IoT hub. Make a note of these three values, which you use later in the quickstart. In a local terminal window, navigate to the root folder of the sample Java project. Then navigate to the iot-hub\Quickstarts\simulated-device folder. 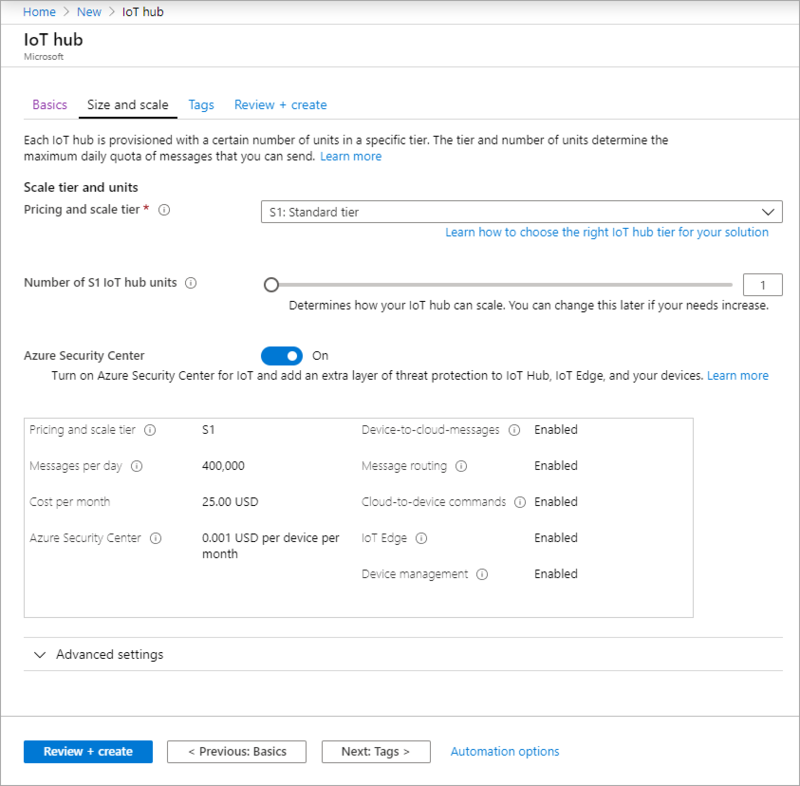 The back-end application connects to the service-side Events endpoint on your IoT Hub. The application receives the device-to-cloud messages sent from your simulated device. An IoT Hub back-end application typically runs in the cloud to receive and process device-to-cloud messages. In another local terminal window, navigate to the root folder of the sample Java project. Then navigate to the iot-hub\Quickstarts\read-d2c-messages folder. Open the src/main/java/com/microsoft/docs/iothub/samples/ReadDeviceToCloudMessages.java file in a text editor of your choice. Update the following variables and save your changes to the file. eventHubsCompatibleEndpoint Replace the value of the variable with the Event Hubs-compatible endpoint you made a note of previously. eventHubsCompatiblePath Replace the value of the variable with the Event Hubs-compatible path you made a note of previously. iotHubSasKey Replace the value of the variable with the iothubowner primary key you made a note of previously. 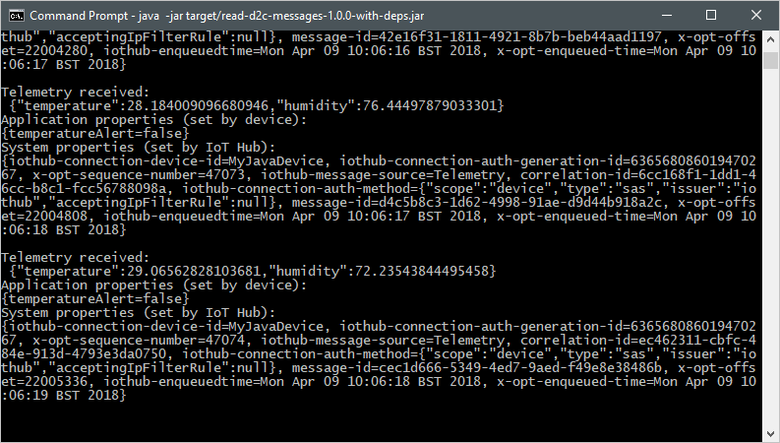 In this quickstart, you've setup an IoT hub, registered a device, sent simulated telemetry to the hub using a Java application, and read the telemetry from the hub using a simple back-end application.